If you have never been treated to the exhaust note of a 2017 Challenger T/A, here is a great video from cars.com showing you just that. 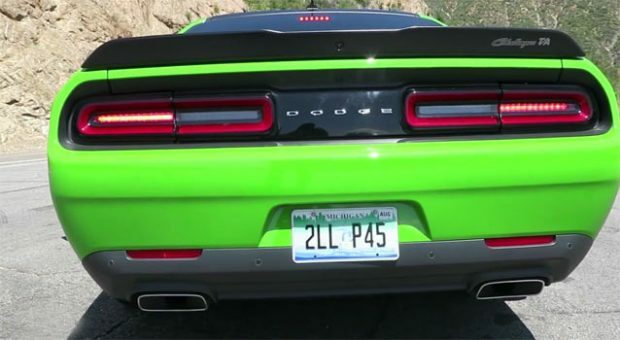 This super bright green Go 2017 Challenger T/A has some exterior hints taken from the Hellcat, such as the black satin hood, deck lid, roof and air-catcher headlamps. This T/A which has the 5.7-liter Hemi V8 features the 2.75-inch electronically controlled active performance exhaust system. The system is now available on all models to give a full muscle car exhaust note. Check out the full video for yourself.